This week sees the start of our Black History screenings with the first of our screenings is looking at the culture of guerilla filmmaking amongst the black creative community of the 70's low brow entertainment with high brow subtext that examined race, social class, perception of ones self and the social and political positioning of people of colour in a wider american context . 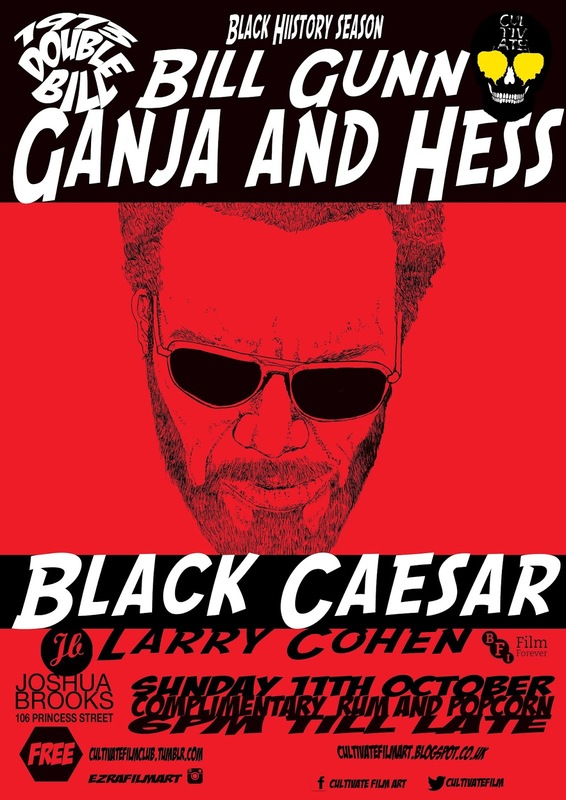 First up is GANJA & HESS by Bill Gunn mixing blaxploitation with the horror genre Gunn uses this populist genre to explore identity, sexuality and religion, we will be showing restored original release from 1973. 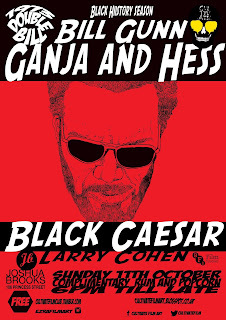 Next up is BLACK CAESAR Larry Cohen's take on Edward G. Robinson's LITTLE CAESAR but with 1973 sensibilities and as a narrative it looks more at power and how power can derail you ambition if you forget why you set upon a certain path. Two classics that will entertain from start to finish.